Taiko drumming is rapidly gaining in popularity around the world. An exciting, exhilarating style of ensemble drumming created in Japan in the 1950s, taiko gathered momentum in subsequent decades in Japan and then in North America, and more recently in Europe, Australia and South America. This book traces the development of one of the first groups in the UK, and the work done by that group to build nationwide engagement with taiko on the basis of its social and educational benefits as well as artistic expression and simple enjoyment. It also tracks the broader development of taiko in the UK and Europe through a focus on events such as the UK Taiko Festival and the European Taiko Conference. In this ground-breaking account, Jonathan Kirby explores important questions about how we adopt and adapt art-forms from other cultures and remain authentic and honest. He shares lessons learned and expertise acquired over 20 years as a taiko professional in the UK, and sets out a bold and compelling vision for taiko in future – taiko without borders. Distribution of The Way of the Drum… is by NBN International. Clicking on the BUY NOW button will take you to the checkout on the NBNi website. There you will be asked for your delivery address (anywhere in the world) and payment details. Payment will be taken in GBP £ sterling, whatever currency zone you are in. If you prefer to pay in Euros, see the option at the bottom of this page. 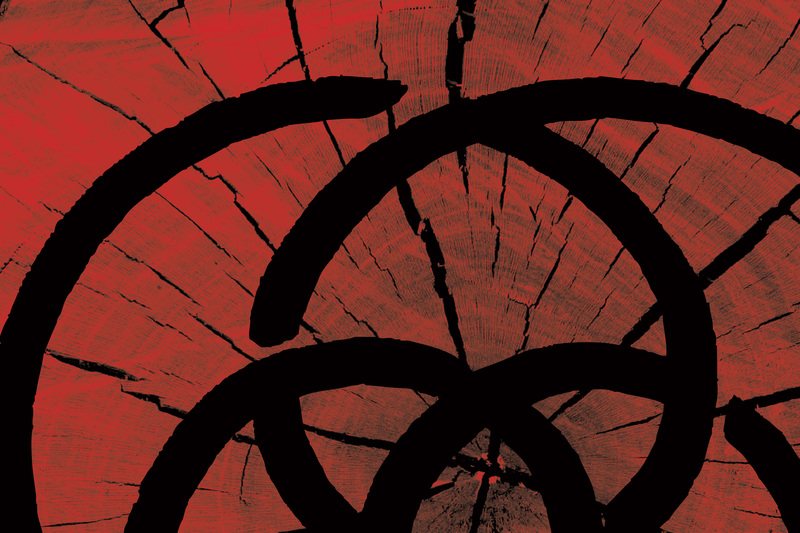 “This book tells an extraordinary story… The only thing I find more astonishing than Kirby’s sheer boldness in founding Kagemusha Taiko is the achievement of sustaining it.” Click here to read the full review by Peter Thomson, Emeritus Professor of Drama, University of Exeter. 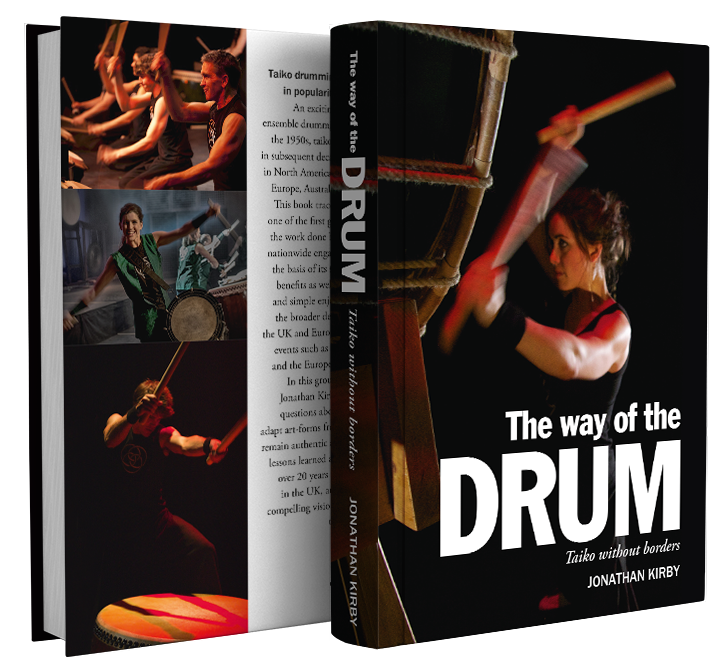 “Though ostensibly a book about taiko drumming, itself a fascinating subject, Jonathan’s book is a compelling read in many other ways. By jettisoning a successful corporate career to pursue a personal passion, it is a tale of sacrifice, relentless dedication and investment in the things that really matter in this life, fostering lifelong relationships and friendship.” Dr Julian Neal. Buying from bookstores or paying in Euros? NBNi are distributors who supply all high street bookstores in Europe. If your local bookstore does not have The Way of the Drum – Taiko without Borders in stock, they will be able to order it easily for you. It might help to have the ISBN for the book: 978-0-9570204-2-9 though this should not be necessary. Outside Europe, you will currently have to rely on online bookstores such as NBNi and The Book Depository. The book can also be ordered from Amazon, though only from the .co.uk outlet. All these options exist for you to choose between, but the easiest is almost certainly to order direct from NBNi. If you are having problems ordering the book from any of these outlets, we are here to help – please email us. Thank you.